Buy Kharo Mukhvas of Mama Mukhwaswala from Ahmedabad online | Authentic Indian Sweet , Savories and Delicacies from the place they originate by Moipot. Coriander seeds (dhana dal) when added to any mukhwas impart a nutty, deep and intense flavour to the treat. 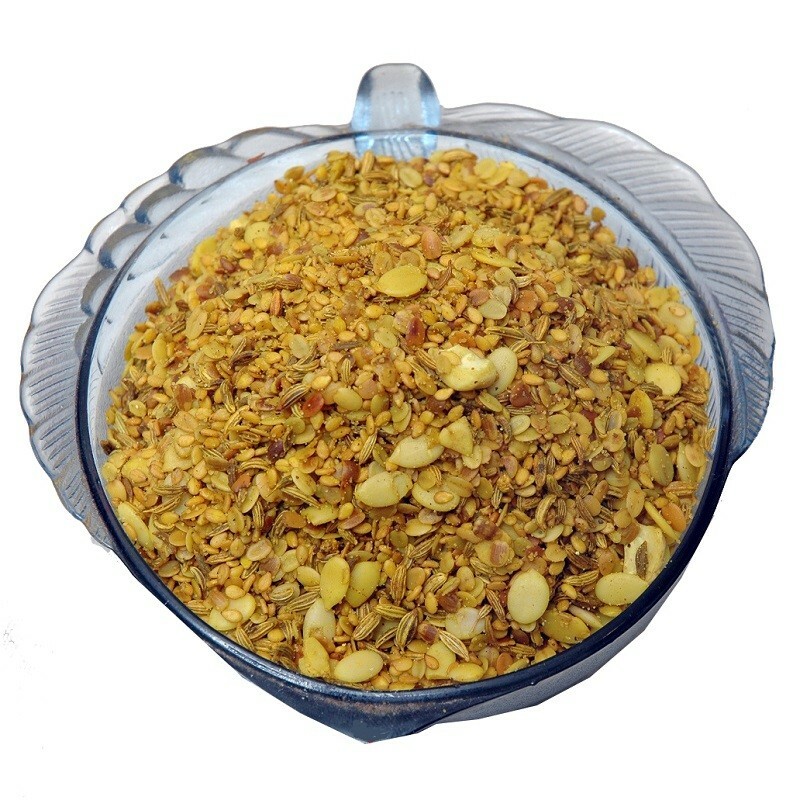 Kharo mukhwas by Mama Mukhwaswala is mouth-watering mixture of variyali (fennel seeds), coriander seeds (dhana dal), sesame seeds (til), carom seeds (ajwain), and iodized salt. The simple yet delicious taste of this mukhwas will make you binge eat it!